A government bid to find a compromise to win over rebels before the Commons Brexit vote has run into criticism. A Tory backbench amendment – understood to have No 10’s backing – offers MPs more of a say over the contentious issue of the Northern Ireland backstop. DUP leader Arlene Foster dismissed it as “legislative tinkering” while Tory Brexiteers said it was “desperate”. Many MPs have expressed concerns about the backstop, aimed at preventing a “hard border” on the island of Ireland. It would mean Northern Ireland staying aligned to some EU rules, which many MPs say is unacceptable. Cabinet ministers are travelling around the UK on Friday as Theresa May continues to seek support for her Brexit deal. MPs will decide whether to accept it next Tuesday, but dozens of Tories are expected to reject it, as will the DUP, whose support keeps Mrs May’s government in power. The prime minister has suggested that MPs could be “given a role” in deciding whether to activate the backstop, and on Thursday night, a Tory backbench amendment was laid down intended to do that. 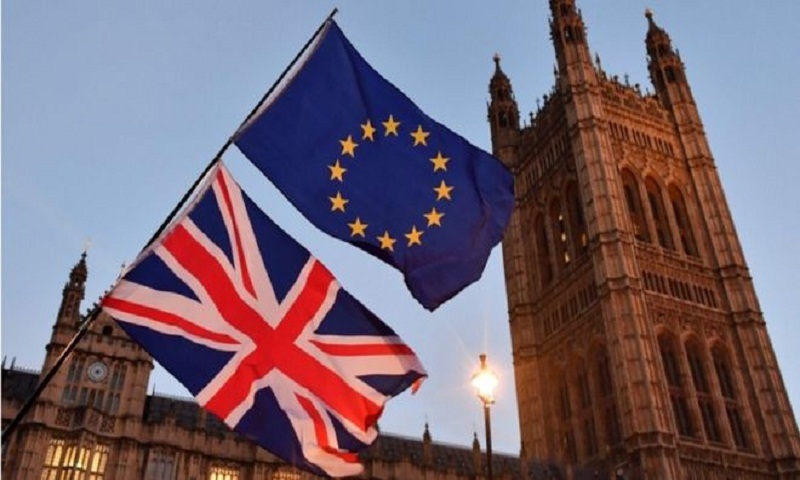 The amendment – which is understood to have government support – would also give the devolved administrations – particularly the Northern Ireland Assembly – more say in the process, and press the UK and EU to agree a future trade deal within a year of the implementation period ending. And one senior source from the Conservative European Research Group told the BBC it was “transparent and risible”. Five days before MPs vote on the deal negotiated with the EU, Philip Hammond and Matt Hancock will be among those trying to sell it to the public. The chancellor will visit a school in Chertsey, Surrey, while the health secretary will go to a hospital in Portsmouth on Friday. Cabinet Office Minister David Lidington will meet small business leaders in Belfast and Scottish Secretary David Mundell is due to speak to employers in Glasgow. Around 30 ministers in total will join the push to gain support for the withdrawal agreement. Theresa May said: “I’ve been speaking to factory workers in Scotland, farmers in Wales and people right across the country, answering their questions about the deal and our future. But in an article in the Guardian, Labour Leader Jeremy Corbyn said the deal represented a “monumental and damaging failure for our country” and represented “a worst of all worlds deal, that works for nobody, whether they voted leave or remain”. He confirmed that, if the deal was rejected and Labour’s preferred outcome – a general election – was not on offer, “all options” remained on the table, including “the option of campaigning for a public vote to break the deadlock”.